This slideshow of 10 great books on teaching contains popular teaching references, stories from veteran teachers, and inspirational encouragement for those in the teaching field. All quoted reviews are from Amazon.com. Reviewers call this book "an absolute must-read" and "a gem for teachers old and new," citing its combination of "street-smart practicality with the creative thinking we need to reach kids today." From the publisher: "From seating plans to Shakespeare, Teaching Outside the Box offers practical strategies that will help both new teachers and seasoned veterans create dynamic classroom environments where students enjoy learning and teachers enjoy teaching." Comments from readers of this best-selling work include one teacher who says "I feel hopeful for all our kids when I read a book such as this. There is hope as long as there are teachers willing to go the extra mile." Another reviewer says that it is "inspirational to read about someone who is obviously so passionate about education and the importance of meeting the needs of students." While some reviewers point out that Esquith spends more time with his students than the average teacher could manage, most agree that his methods are sound. From the Publisher's Weekly review: "Throughout each school day, Esquith teaches life skills: how to think about problems, how to plan a strategy to solve them and, most important, how to work together and be nice to each other. 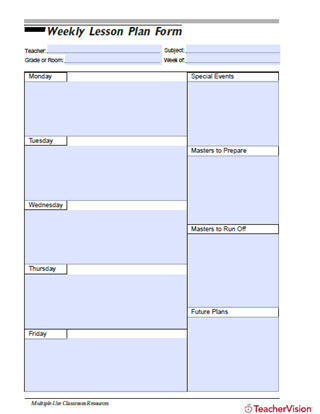 While his goals are inspiring, he's also practical." This book is primarily about avoiding power struggles with your students and disciplining them in a way that they can make their own (better) decisions in the future. Some reviewers comment that "You will be stunned at how easily it works." The publisher says the book "helps teachers increase skills, enhance professional development and maximize classroom learning time." 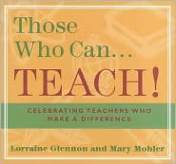 Some reviewers point out that, for new teachers, it's best to establish set rules and boundaries with students before following the advice given in this book, but most agree that the advice is sound and that following it will result in a more peaceful classroom. From the publisher: "The book walks a teacher, either novice or veteran, through the most effective ways to begin a school year and continue to become an effective teacher." Reviewers hail this book as "a wonderful resource based on the experiences of hundreds of successful teachers," and contains "very concrete examples and specific practices that can be implemented in the classroom well before the students arrive on the first day." They advise that "if you are new to teaching or having trouble with it, this is a definite read," and also point out it's most helpful for elementary-school teachers. Description from the publisher: "Not Quite Burned Out helps remind teachers of the reasons they entered the profession in the first place. Without disguising the heart-breaking realities, Draper nonetheless celebrates the joys and very real rewards of teaching." One reviewer said the book "brought me to tears, made me smile and most of all challenged me to think. I just wish I had read it sooner." Reviewers call this book "a much appreciated tribute to the amazing men and women who devoted their lives (often at great sacrifice to themselves) to educating children of all ages and backgrounds" and "a charming reminder of what dedicated teachers have done and can do." The publisher describes the book as "bring[ing] together personal reminiscences about gifted educators from a wide array of contributors, including writers, entertainers, business leaders, religious figures, politicians—and of course teachers themselves." This collection of essays from the popular "Chicken Soup" series is sure to encourage, entertain, and motivate teachers. Reviewers call this book "very inspirational," "a delight," and "heartwarming." The publisher describes it as "a testimonial of thanks, sure to revitalize weary educators." The publisher's description: "The book will delight and encourage...teachers who need Kozol's reminders of the ways that their beautiful profession can bring joy and beauty, mystery and mischievous delight into the hearts of little people...."
Reviewers called this book "a must read for beginning teachers" and "an inspiration." One said, "It is never too late to realize that the problems of inner city schools are huge but not insurmountable." This epistolary-style novel follows Jack Woodson, a former thermal engineer, who writes emails to a former coworker about his first year of teaching. Based on the real-life experiences of author John Pearson, reviewers call this novel "Wonderful, funny, insightful look into the crazy day-to-day experiences of teaching in the public school system" and "full of wonderful first-year-teacher anecdotes." 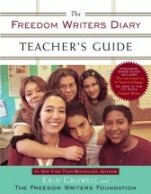 You may have seen the movie The Freedom Writers, based on The Freedom Writers Diary, and been inspired to use the book in your classroom. 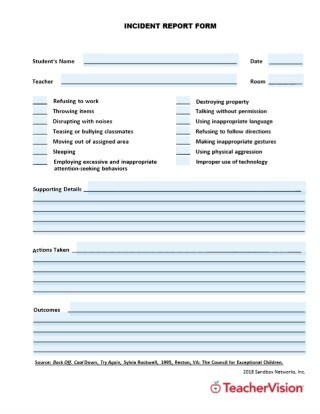 This teacher's guide will help you implement the techniques teacher/author Erin Gruwell used in her classroom, with your own students. From the publisher: "This standards-based teachers' guide includes innovative teaching techniques that will engage, empower, and enlighten." One reviewer says, "The methodology that pulses at the heart of this guide will undoubtedly transform the lives of your students."